Tribenuron-methyl is a kind of sulfonylurea herbicide. Tribenuron-methyl can be absorbed by leaf and root of the weeds,and conduct in the weed. Killing the weeds by inhibitting the activity acetolactate synthase (ALS). Sensitive weeds stop growing as soon as absorbing the Tribenuron-methyl, and the weeds will die 1-3 weeks later. Tribenuron-methyl is safe to the plant. Tribenuron-methyl is wonderful for Winter wheat, spring wheat, barley, YuanMai, oats. 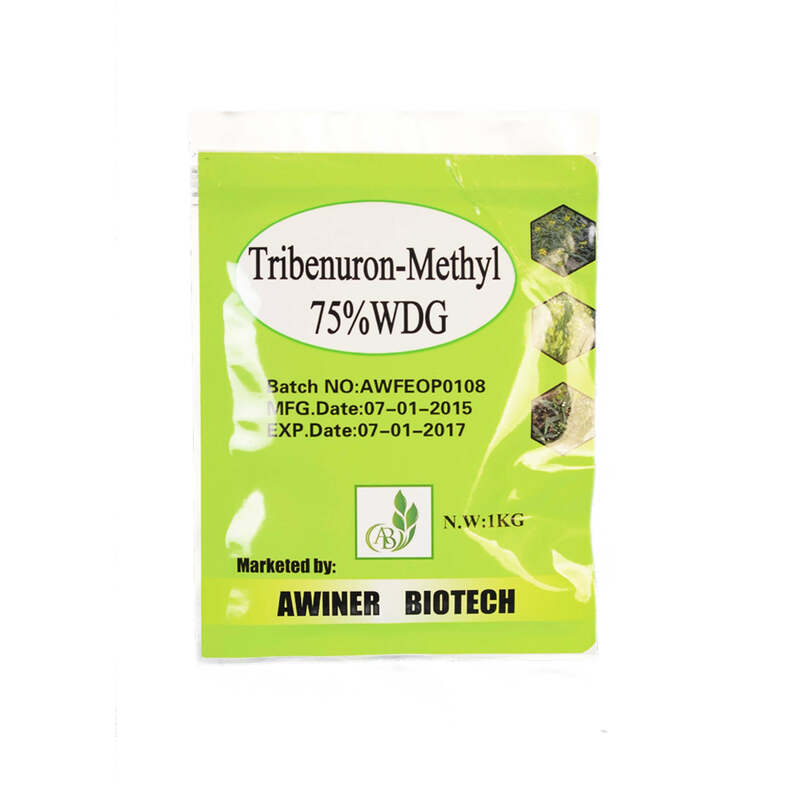 Tribenuron-methyl is mainly used control annual wide leaf weeds,like Sowing niang artemisia, shepherd’s purse, broken rice, shepherd’s purse, mai jia, quinoa, amaranthus retroflexus. Tribenuron-methyl is not avalibale for grassy weed. Tribenuron-methy can only be used once per season. Stop spraying Tribenuron-methy when it is clody. The lasting period of the Tribenuron-methy is about 60 days. Peanut is sensitive to Tribenuron-methy.Shouldn’t plant peanut after spraying. Tribenuron-methy is only efficiency to the grown weed. Tribenuron-methyl75%WDG Winter wheat annual broadleaf weed 11.25-16.88g/ha.